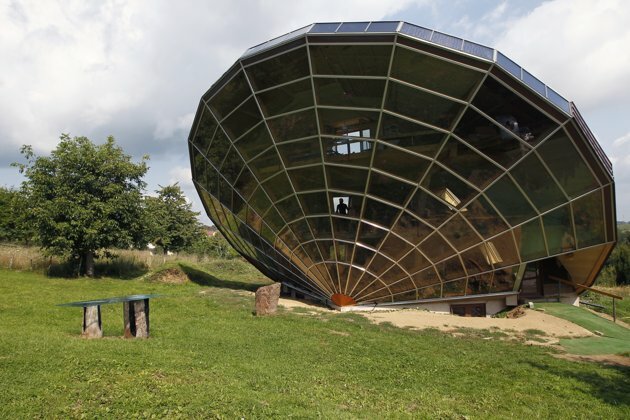 The Heliodome, a bioclimatic solar house is seen in Cosswiller in the Alsacian countryside near Strasbourg, Eastern France, August 4, 2011. 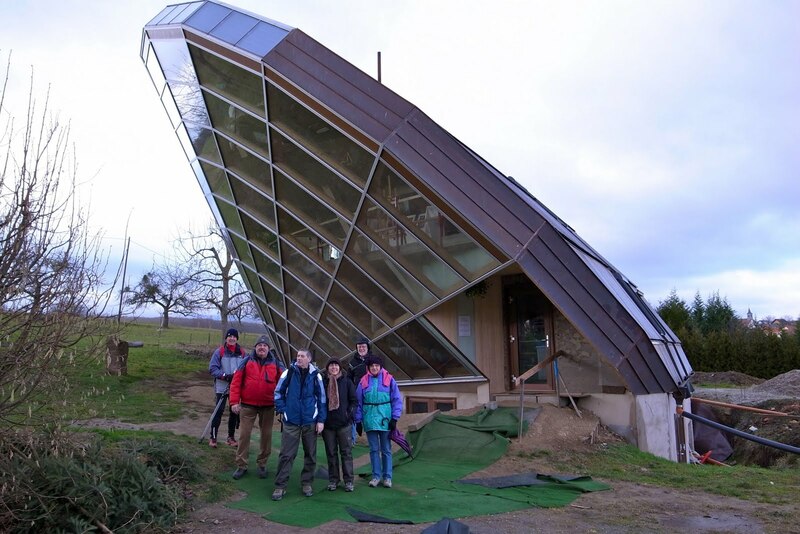 The house is designed as a giant three-dimensional sundial, set on a fixed angle in relationship to the sun's movements to provide shade during the summer months, keeping the inside temperature cool, and during Fall, Winter and Spring sunlight enters the large windows as the sun's position is lower in the sky, thus warming the living space. Wow, that must have been an architect's nightmare. Designing the support for those angles is quite an impressive feat.